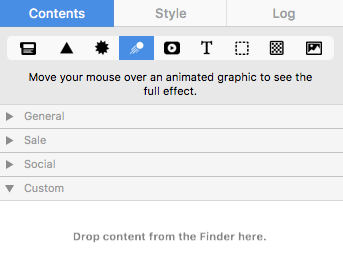 If you want to preview what kind of animation the graphic has prior to adding it to your design, then just hover your mouse over the graphic of interest on the “Contents” section. As long as the cursor is over the graphic, you will be able to see the animation. 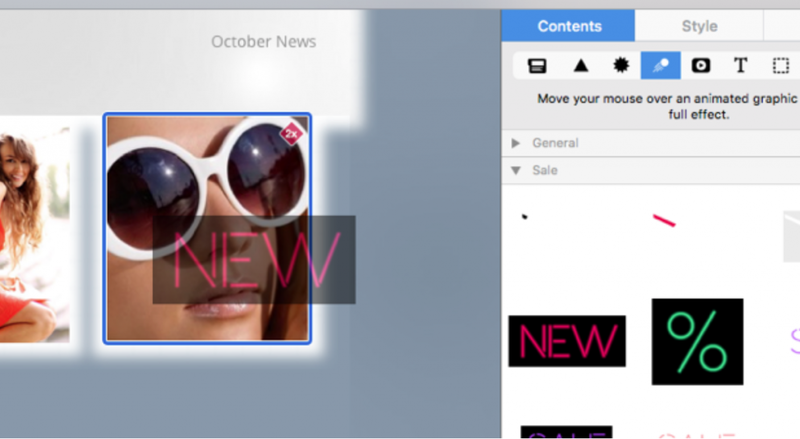 If you have already dragged your animated graphic to your email template, then you will be able to see the animation as long as the animated graphic is selected. 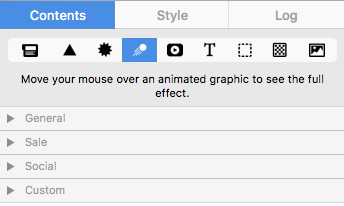 To select the graphic, just simply click on it. You can then treat it like other animated graphics. Simply drag the file into an image area.